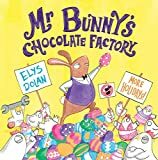 There are many important messages in this brilliant new outing from picture book genius Elys Dolan, but as with all the best books they’re conveyed so seamlessly they don’t disturb the fun. 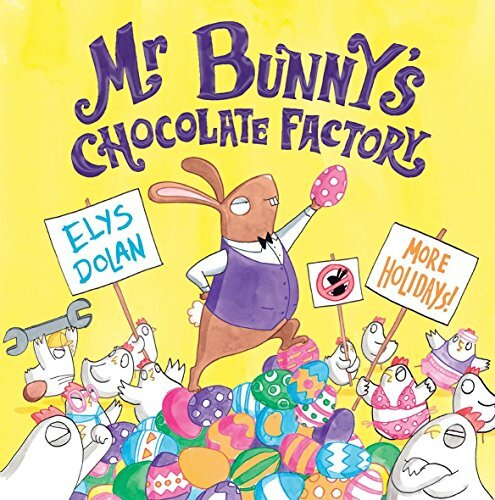 Mr Bunny runs the chocolate factory where his chickens lay chocolate eggs. Everything is running smoothly and Mr Bunny is very rich, but he wants his chickens to work harder and longer! The workers are unhappy and unhealthy under his new regime but he doesn’t care and soon they’ve left him in the lurch. Mr Bunny needs to learn an important lesson about valuing every member of his team, and becoming a fair employer. Each page is brimming with comic action, the spreads read more like giant cartoon cells with are full of funny dialogue between the stressed out worker chickens. Children and parents will both find lots to enjoy here and the colours are so bright and gorgeous – it’s a feast for the eyes as delicious as the chocolatey subject!